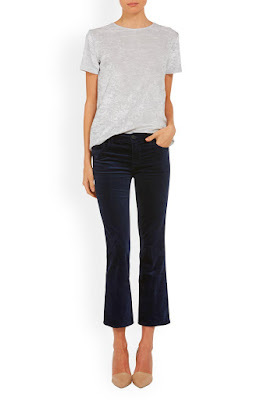 Trilogy Stores brings you their exclusive collection of velvet jeans below, including much-loved denim brands such as J Brand and Paige. 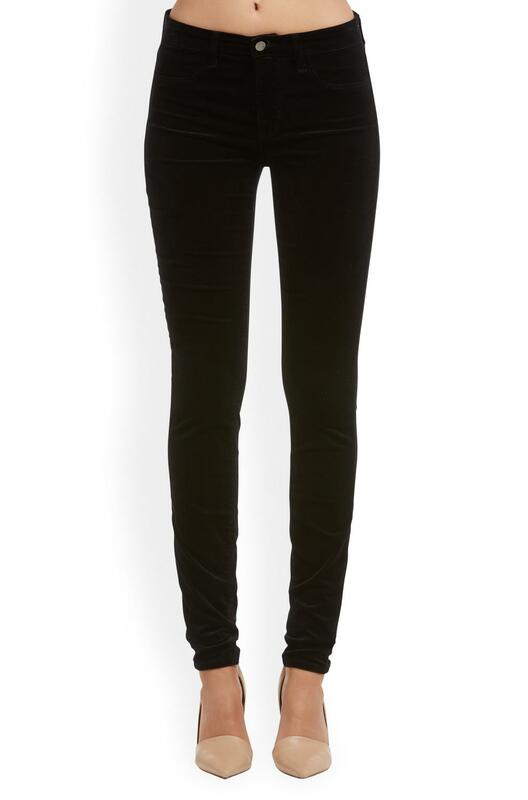 Frame's beloved mini boot cut silhouette gets an update in plush velvet this autumn winter season. 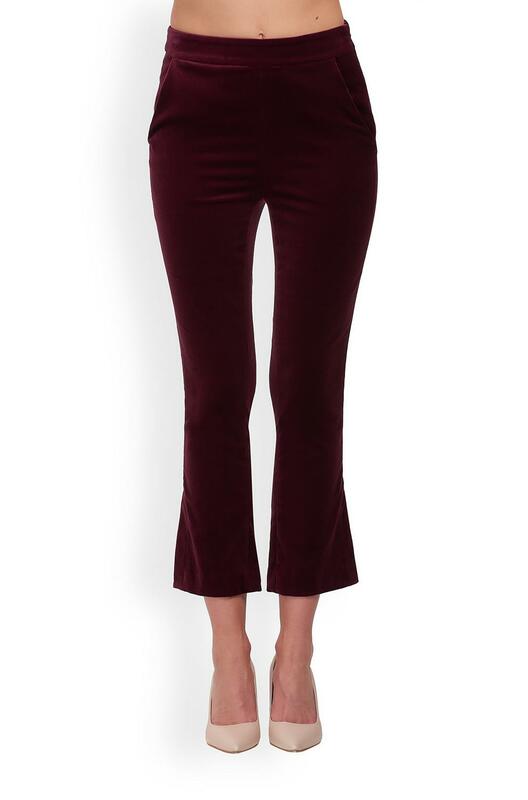 Cut from smooth and soft velvet with a hint of stretch, this version in a rich pinot shade comes with a high-rise waist and a flared cropped bootcut leg. With a banded waist, this on-trend trouser is finished with a concealed side zip, front slant pockets, back welt pockets and a side split hem. Pair with the matching velvet blazer for a modern version of the power suit. 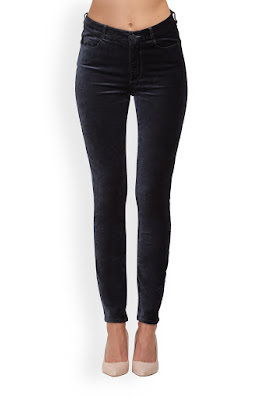 The Hoxton from Paige is an ultra-skinny jean with a flattering high-rise waist. The bestselling jean has had a makeover in luxurious stretch velvet fabric this autumn winter and the fabric promises plenty of stretch with a hint of lustre and a super-soft handle. Hugging the leg all the way down to the ankle, this dark midnight slate grey tone is a wearable update to black versions of season's past. Partner with cashmere knits or blouses tucked-in. 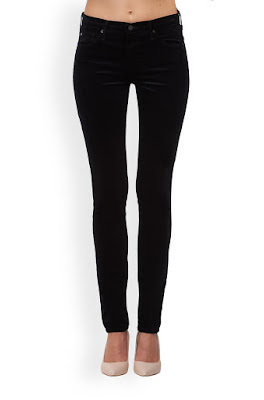 Ruby from J Brand is a high-rise, cigarette fit that's cropped to just above the ankle. 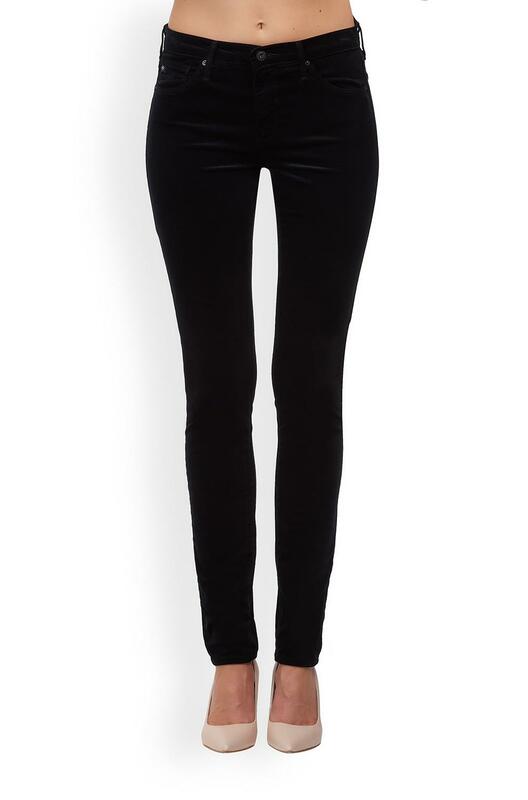 A chic alternative to an ultra-skinny jean, this slim, leg-lengthening jean is ideal for day-to-night wear. Updated for the new season in a luxurious velveteen fabrication that's dyed a timeless and versatile oxblood hue, you'll want to add this super-soft jean to your J Brand collection right now. 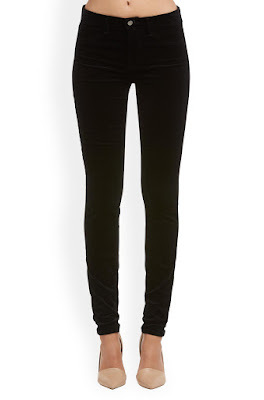 Back for another season, J Brands 815 Velvet jean comes in a flattering mid-rise super skinny fit. The 815 contours to your body for a sleek silhouette that fits to perfection whilst the lustrous velveteen fabric comes in solid black and features ample stretch and a luxe finish on this pair of jeans.